Top 10 Videos of 2017, #7: What Is The Parental Kidnapping Prevention Act? Top 10 Videos of 2017, #7: What Is The Parental Kidnapping Prevention Act?? https://tibbslawoffice.com/wp-content/uploads/2011/07/Family-Law-Keyboard-110717-sm.jpg 267 400 TibbsLawOffice https://tibbslawoffice.com/wp-content/uploads/2016/02/logo-300x74.png TibbsLawOffice2018-01-27 16:28:352018-02-14 15:28:05Top 10 Videos of 2017, #7: What Is The Parental Kidnapping Prevention Act? Top 10 Videos of 2017, #8: What Is A Divorce From Bed And Board? https://tibbslawoffice.com/wp-content/uploads/2011/07/Family-Law-Keyboard-110717-sm.jpg 267 400 TibbsLawOffice https://tibbslawoffice.com/wp-content/uploads/2016/02/logo-300x74.png TibbsLawOffice2018-01-20 16:08:042018-02-14 14:56:49Top 10 Videos of 2017, #8: What Is A Divorce From Bed And Board? Top 10 Videos of 2017, #9: How Can I Increase My Chances Of Getting A More Favorable Agreement In Kentucky? 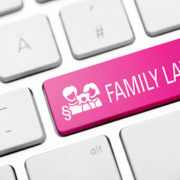 https://tibbslawoffice.com/wp-content/uploads/2011/07/Family-Law-Keyboard-110717-sm.jpg 267 400 TibbsLawOffice https://tibbslawoffice.com/wp-content/uploads/2016/02/logo-300x74.png TibbsLawOffice2018-01-13 13:49:522018-02-14 14:50:07Top 10 Videos of 2017, #9: How Can I Increase My Chances Of Getting A More Favorable Agreement In Kentucky?